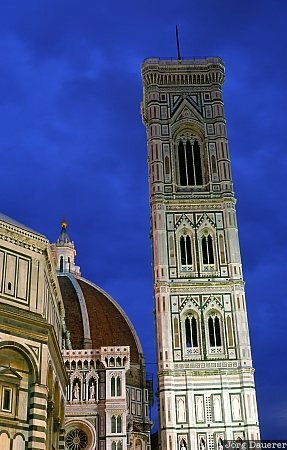 The illuminated campanile (tower) of the cathedral of Florence. Florence is in northern Tuscany in the central part of Italy. This photo was taken in the evening of a rainy day in October of 1998.